Understanding Michigan hydrocarbon production data is important for anyone interested in understanding the economics of energy production. Join us as we continue our journey to compile oil & gas production information that helps everyone understand more about energy, economics, and the protection of our public natural resources. There’s a ton of information out there. But how should we break it down in a way that tells us what’s really going on? With everything happening across our communities, at the state level, at the federal level, and even internationally, where do you focus your effort? What really matters? Well, one thing that matters to everybody is money. When you get all the fluff out of the way, you realize it’s been about money the whole time. Dolla dolla bills y’all. Money is a common denominator regardless currency, boundary, nationality, company, or even country. Furthermore, it doesn’t matter if you’re talking oil, natgas, coal, wind, or solar either; energy’s common denominator is cost per unit. Money is the great leveler. But understanding money can get complicated. It gets especially complicated to understand money when you consider the long term environmental impact costs of energy production. For example, you could have high initial investment costs that have much better long term returns with respect to environmental impacts vs low initial costs that have large long term negative consequences on the environment. Just looking at the oil produced or gas produced won’t tell you the whole story about energy economics either. It will, however, teach us just a little bit more about the big picture; it’s like another brick in the wall. To understand the money as it relates to oil & gas, we need to understand fundamentals like wells per unit and oil and waste water produced. Think about it: if you have 288 wells in a unit and 120 pumpjacks to maintain, and you have to pay X amount of truck drivers to haul waste water, you have to understand a complex cost structure to turn a profit. 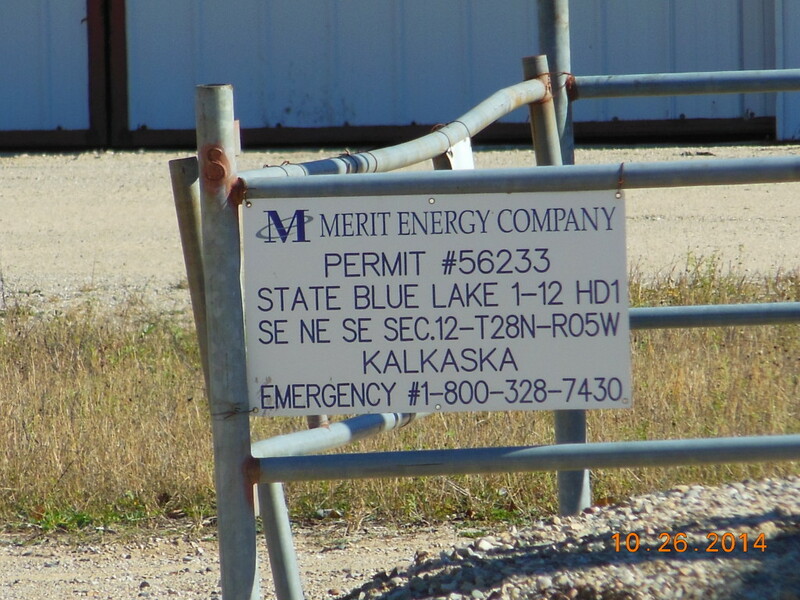 And, that’s just one single PRU for a company like Merit Energy and Merit has many of those types of PRUs in Michigan and around the country. Merit Energy, a Dallas TX company, specializes in managing a niche set of costs by trying to turn a profit on stripper wells and old wells. Merit comes from a state where you might drive a 1/2 hour to get to your closest neighbor and drive by 100 pumpjacks along the desert highway along your way. Texas has raised Merit to think differently than a company based in Traverse City Michigan. Merit is familar with big oil fields and ringing drips out of oil fields that other companies have given up on. This is Merit’s part in the Michigan oil industry. 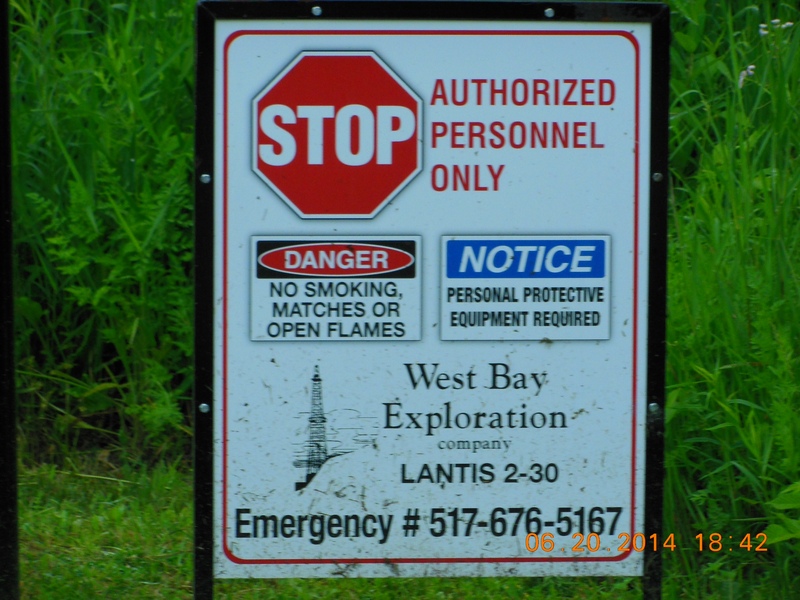 West Bay has pinpointed wells in Michigan that have kept them profitable. West Bay is a completely different type of company than Merit Energy. West Bay specializes in pinpointing oil reservoirs with advanced 3D seismic that have not yet been tapped; the rifle shot. 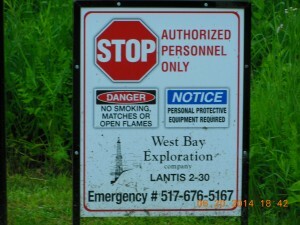 West Bay hopes to identify a reservoir they think is going to justify the capital expenditure of a brand new tank battery and some separators and all the other admin costs of permits and surveys and drilling costs. West Bay does a cost analysis on a different investment basis than Merit altogether. West Bay’s accountants are going to be amortizing CTB costs, surveying costs, and drilling costs against a hopeful 200 BOPD well all while worrying about Brent Crude prices dropping from $100/bbl to $50/bbl overnight. Actually every operator around the world is affected by the drop in oil prices because remember: money is the common denominator. And that’s just oil… what about gas? or Natural Gas Liquids? Again, it’s a whole different ball of wax. You could probably drill an Antrim well for under $300k vs a Collingwood well which might run you $20,000,000. How can you compare the two? Do you think Encana gives a rat’s patootey about understanding the economics of a production unit of 75 Antrim wells? The truth is there is only 1 common denominator. The Yankee Dollar. The Greenback. The Benjamins. Keepin’ it in the black. The money made and economics of different scenarios must be understood to try to forecast the next moves of these companies. Also, we must understand the industry and their motivations completely in order to come up with clean energy alternatives that make the most long term economic sense toward protecting our fresh water reserves. To that end, RMP is building a rolling average pricing table for calculating the dynamic pricing of a bbl of oil, an mcf of natgas, and bbl of NGL. This special data table will help us all understand the approximate revenue made from energy produced for each of the wells in our database by running the data through some simple calculations. RMP will multiply the bbls produced by the price at the time to approximate the revenue associated with hydrocarbon production in Michigan and even around the world. Remember that some of these wells in the top 10 oil list ranking also rang up some big NGL and natgas numbers. Until we dial in on the revenue produced and understand the different cost structures of the different companies, we’re not seeing the whole picture as it relates to profitability. Revenues minus costs equals profit and that’s what it’s all about regardless of your latitude and longitude. The better we understand motivations of cost avoidance and profitability the better we can understand why the risk of ground water contamination goes up when poor decisions sold under disingenuous terms are put into law by senators with financial conflicts of interest. The more we know, the better we can spot misleading information and ask smart questions. In the end, money influences a lot of decisions that can effect our natural resources. Always follow the money. It is imperative to understand business and economics when trying to understand how to best protect our Great Lakes. RMP has said one simple thing consistently since the day the organization started learning about oil & gas and high volume hydraulic fracturing: always follow the money. We have said that since day 1 and it will never change. By keeping with that simple philosophy, I am certain we will discover the truth. Follow the money. Now let’s look at the top producers in Michigan. Below are 3 tables showing the top 10 producers in 2014 for oil, natural gas, and natural gas liquids in the Michigan Basin. These tables establish some benchmarks for 2014 so RMP can start to share new angles of reporting related to Michigan’s natural resources you won’t find anywhere else on the internet. Remember what separates RMP from other sites is that we have the data hooked up to our exclusive map. Be sure to click on the See it on the map! links if you want to see where these PRUs are on RMP’s interactive map. #1 Norwich Unit Merit Energy 288 119,187 327 See it on the map! #2 Jennings 1-32 HD1 West Bay 1 111,357 306 See it on the map! Savoy Energy 1 85,023 233 See it on the map! #4 Bauer 1-13 Savoy Energy 1 84,625 232 See it on the map! #5 Moore 1-14 Savoy Energy 1 83,330 228 See it on the map! #6 Napoleon Farms Et al 1-4 West Bay 1 76,059 208 See it on the map! #7 Lantis Et al 1-29 West Bay 1 68,011 186 See it on the map! #8 Lantis Et al 1-30 West Bay 1 67,070 183 See it on the map! #9 Beaver Creek Unit Breitburn 35 65,823 180 See it on the map! #10 Zmijewski & Zietlow Et al 1-26 HD1 West Bay 1 64,664 177 See it on the map! #1 Torch Lake Unit Jordan Development LLC 28 1,032 2.83 See it on the map! #2 Turtle Lake Unit Linn Operating 89 937 2.59 See it on the map! #3 Lockwood Lake Unit Linn Operating 85 928 2.54 See it on the map! #4 Avery Lake Unit Linn Operating 74 862 2.36 See it on the map! #5 Hunt Creek Unit Merit Energy 78 853 2.34 See it on the map! #6 Hubbard Lake Unit Linn Operating 55 762 2.01 See it on the map! #7 State Chester Unit Enervest 71 718 1.97 See it on the map! #8 Mancelona East Jordan Unit Chevron 42 705 1.93 See it on the map! #9 Big Bradford Lake Unit Linn Operating 62 648 1.76 See it on the map! #10 Lakes of the North Unit Linn Operating 48 631 1.73 See it on the map! #1 State Excelsior 3-25HD1 Encana / Marathon 1 27,394 75 See it on the map! #2 State Excelsior 2-25HD1 Encana / Marathon 1 19,947 55 See it on the map! #3 State Beaver Creek 1-23HD1 Encana / Marathon 1 19,123 52 See it on the map! #4 State Vienna 2-31HD1 Merit Energy 1 15,764 43 See it on the map! #5 Wesanen 2-19 Core Energy 1 12,452 34 See it on the map! #6 State Forest 1-14 Merit Energy 1 11,420 31 See it on the map! #7 State Troy & MSU 1-9 Sturgeon Point 1 10,895 30 See it on the map! #8 State Hayes 1-36 Merit 1 10,781 30 See it on the map! #9 State Garfield 1-25HD1 Encana / Marathon 1 9,659 26 See it on the map! #10 State Charlton & Salling Hanson Et al 6-4 Merit Energy 1 9,520 26 See it on the map! In conclusion, we’ve come a step closer to understanding some benchmark numbers for top producers in Michigan. This is an important step toward understanding revenue and profit. Revenue and profit are important toward understanding motivations. Stay tuned and thanks for reading.